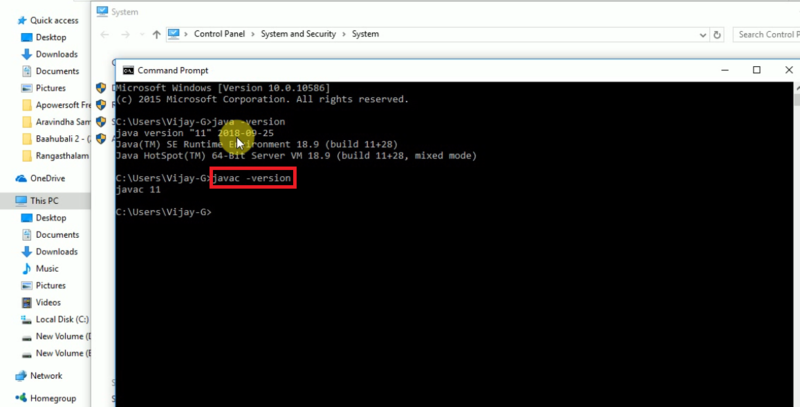 Now a days Java is the best programming language and here showing how to simple installations of Java latest version 11 on Windows 10 operating system for beginners . Simply download JDK11 from java official website then install it by below steps on Windows 10. Step 1: Download JDK11 from website after downloading .exe file then Run as administrator. Step 4: First Go to Local disk -> Program files check whether JDK11 is there or not. Step 11: Click on Move Up will reach out into first place for our convince. 4 .And some modules are removed Java EE and COBRA Modules. Java is an open source programming language for software developers and coming to Spring Boot is an advanced framework in Spring. 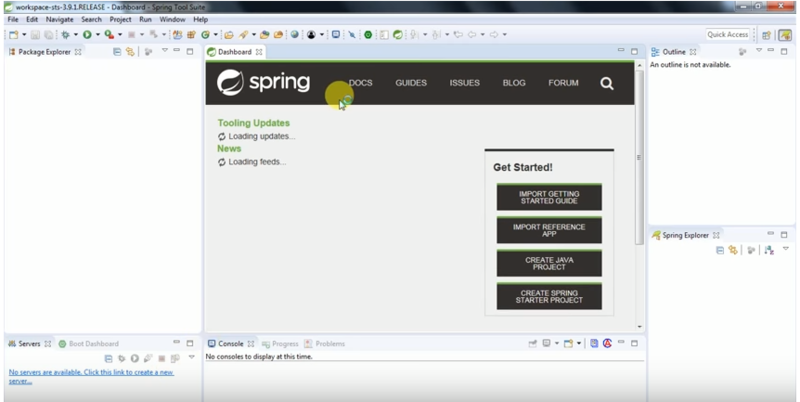 So how to develop in using Spring Tool Suite IDE in a simple way. 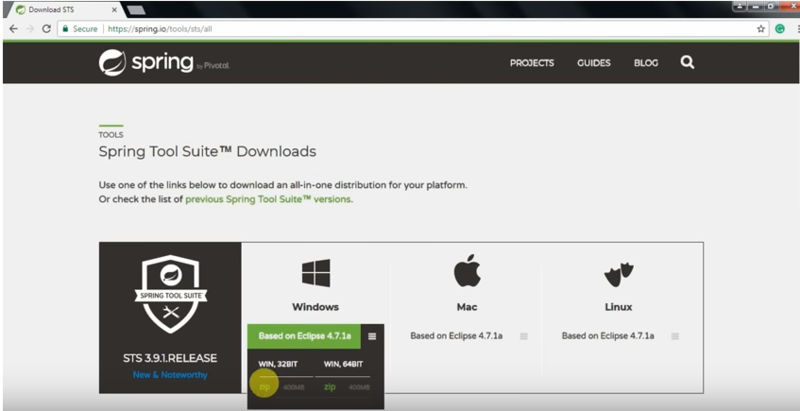 Here is how to install STS simple steps and how to install SCALA on Spring Tool Suite IDE. Mainly how to integrate Scala with STS for Scala developers without Scala IDE. In this STS both using Java developers as well as Scala developers. Prerequisites: Java (JDK 1.7) is mandatory to install STS along with SCALA. 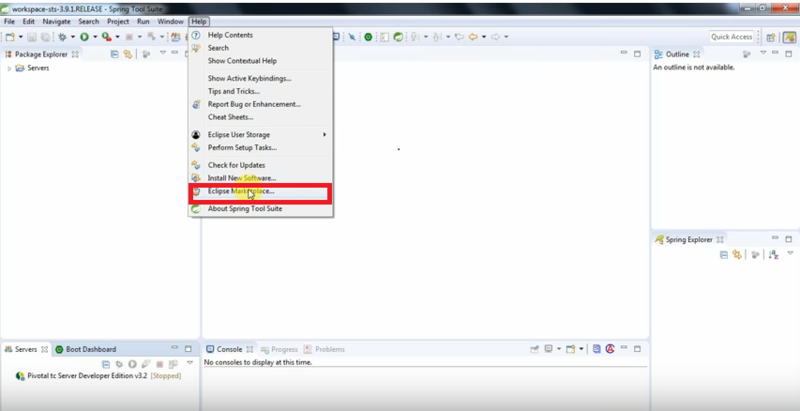 Step 2: After downloading Spring Tool Suite zip file then extract that then Open STS directory file click on STS icon below like this. Step 3: Run that file then Select a directory as a workspace and browse your directory. Step 4: After that open workspace spring Dashboard for more information. Step 5: Go to Top menu bar and click on Help option then click on Eclipse Marketplace. 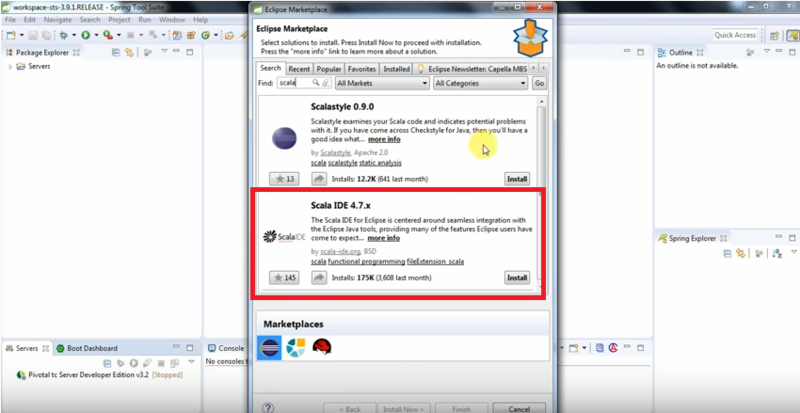 Step 6: After open Eclipse Market Place then search Scala IDE and click on Install option. 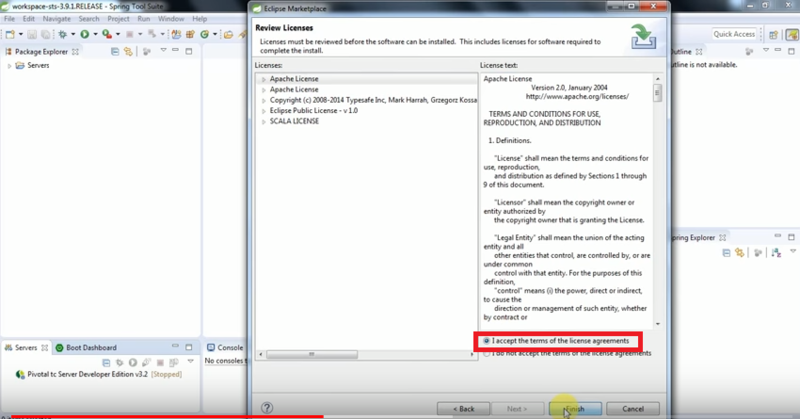 Step 6: Click on I Accept Apache License & agreement then Click on Finish button. Step 7: After that Restart Spring Tool Suite IDE then start with SCALA simply. Above steps are simple to integrate SCALA in Eclipse or Spring Tool Suite for developers. If you don’t need this type SCALA installation then go with SCALA IDE from Scala official website.